Towards the end of last year, I started to wonder how relevant I’d become on this blog. Having written a post about sticking with one child, and deciding emphatically that ours was a one child family, it occurred to me that I might soon run out of interesting things to write about. Naturally, this was concerning. Like being asked to speak in fluent French to continental tourists having obtained a B grade GCSE too many years ago, or blogging about pastry when I’ve only ever used the packet stuff. For how long can you keep talking when your experience is not that extensive? So around Christmas time, I got my husband incredibly drunk, an easy task, and explained the situation. ‘I’ve run out of stuff to write about’ I told the half squiffy, half witted Ed. ‘People will become bored of my posts. Finish that pint and get me pregnant’. Ed was, unsurprisingly, obliging, although I was greatly disappointed to find myself embryo free two weeks later. 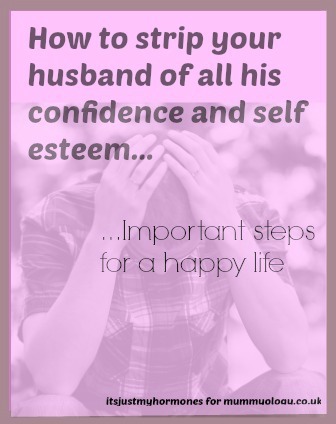 I mentioned to Ed that he’d failed in the one thing he was supposed to succeed at, and when I was satisfied that I’d crushed his ego sufficiently, I swept the kitchen for alcohol, swapped it with nuts and fruit, and we went for long walks in the fresh air. I forced water into Ed’s cider rattled body, and hammered on relentlessly about female biology and dates and implantation and ovulation until his eyes went crossed and he more or less completely malfunctioned. I was doing well. I’m not known as a patient person. Imagine then, my incredulity when another month rolled past with no blue line. I was furious with Ed. I Googled to see where he was going wrong. Having fallen pregnant the first time by merely holding hands one afternoon, I had been convinced that the second time would be equally easy and trouble free. Although I spent a long time searching, it seemed I couldn’t really get away with blaming Ed. I still shouted at him, as he nervously chomped through his daily nut ration and promised to try harder. I told him we would review the situation in 30 days. Fortunately for Ed, the intense pressure, the unpleasant atmosphere at home and the diet of leaves and H2O did something to him, and I am pleased, delighted in fact, to write that I know have something to write about; I am up the duff. With child. There is a bun in this oven, and I’m not talking carrot cake. So now I can document the finer points of this pregnancy, the crippling lack of sleep in the early stages, the falling apart that I expect to do when we get the baby home, the bond I hope to experience this time round, the pleasant, painless experience of childbirth, and all that good stuff. Thank goodness. I now feel relevant on this site again. And hats of to Ed for his minor part. He’s back on the cider now, but mostly drinks it on his own, in our bedroom with the windows closed, shaking and rocking. I expect it’s the excitement of becoming a father again.